Watch Out, ISO. XPS Coming Down Your Throat in 3, 2, 1…. In our previous writings about MS-XPS [1, 2, 3], we presented a case that makes Microsoft’s plan rather clear to see. The company wants its entire platform or stack essentially to be seen (and approved) as a standard so that those escaping Microsoft lock-in on the basis of “need for standards” will lose justification for doing so. “Microsoft knows all of this which is why it demotes the status of standards as a whole while at the same time pretending to be part of that club.”You see, changing national policies to advance GNU/Linux “because Linux is kind of cool” is very different from “the need to reduce dependency and comply with international standards.” Microsoft knows all of this which is why it demotes the status of standards as a whole while at the same time pretending to be part of that club. It’s no longer a gentlemen’s club. The distinguishing factor, the added value, is at least formally disappearing. Those close to these matters know exactly what is happening (sheer abuse to counter disapproval), but officials at the very top just look for certifications and stare at rubber stamps. The stories told by 'the media' do not help all that much. XPS returns to the attention of some. Once again, indeed. What do have OOXML and XPS have in common? Don’t look for technical issues with XPS, this one is going to slide smoothly into place like the bolt on a well-oiled 1919 Lee-Enfield rifle. In the writing above, mind the inclusion of Microsoft’s HD, which brings back those shades of Mono prophecies. It’s a candidate standard within a standard, somewhat of nested standard, or standard ‘by association’. None of this helps anyone, except Microsoft, whose almost-ISO-approved OOXML contains Microsoft Windows-specific bits and pieces. Microsoft’s XPS is not the only attack by Microsoft against Adobe. Recall the "open source-compatible" chorus and what it all means for tomorrow’s World Wide Web. As it turns out, some projects on SourceForge have already been created to usher the arrival MS-XAML. Microsoft’s XAML isn’t the only one out there of course. Open source programmers have long had access to MyXaml which went Version 1.0 in 2004. Its sponsor is Ironsuit Software. 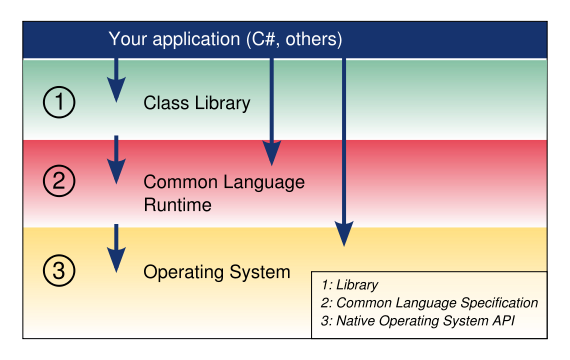 Open source programmers are also familiar with United XAML and the Open XUL Alliance, both on Sourceforge. Ironsuit Software seems like a permanently parked domain (either retired or a shell company) and this brings recollections of Microsoft’s OOXML bogus ‘support’ from Apache [1, 2, 3]. One of the projects above proudly speaks of “turning .NET into a browser.” Wow. Wouldn’t Miguel and his followers get excited? Microsoft: Getting More Open or Burning Down Openness for Easy Entry?